Venkat Prabhu is a man of many ideas – usually very good ideas – which have resulted in a number of successful films. 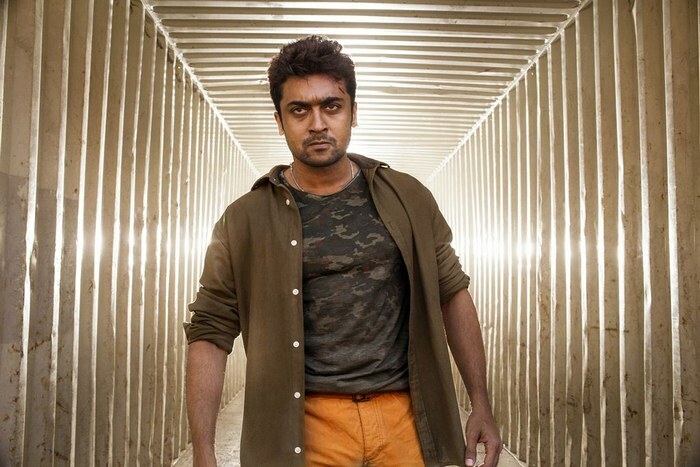 However for his latest release Masss, he tries to cram as many ideas as possible into the first 20 minutes, and then continues to throw in yet more new ideas throughout the rest of the film. Now that’s not necessarily a bad thing, but not all of his ideas work and it’s even difficult to decide if they work or not because the film has already moved on to the next idea! As a result the confusion of the opening scenes feels like trying to cram a year’s work into 10 minutes before the start of an exam. Situations and characters flash by without a chance to work out who is who, what they are doing and how they fit into the story, and if I did have to answer questions on what was going on, I would fail miserably! However it does get better. 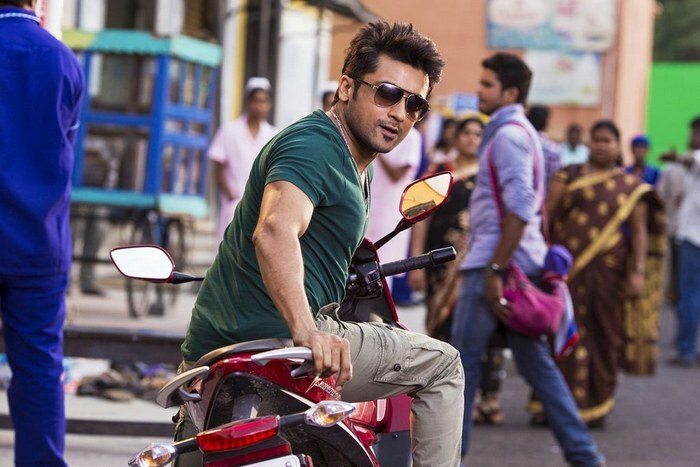 Suriya is amazing, and his presence holds the film together even through the odd and even more oddly placed songs. The story starts to make sense and the pace slows down to manageable levels with enough comedy and action mixed in to make Masss well worth a watch and much better than the opening sequences would suggest. Suriya plays Masilamani aka Mass, a con-man and thief who works with his best buddy Jet (Premgi) on a number of overly complicated heists that involve as much theatricality as they do actual thievery. But they make a mistake when they decide to rob a local don who takes exception to their activities. Mass and Jet only just manage to escape, but in doing so they have a serious car crash which has more implications than they first realise. I had no idea about the story behind Masss and I think it works better when the events that occur are completely unexpected, so I will leave the details of the story there. 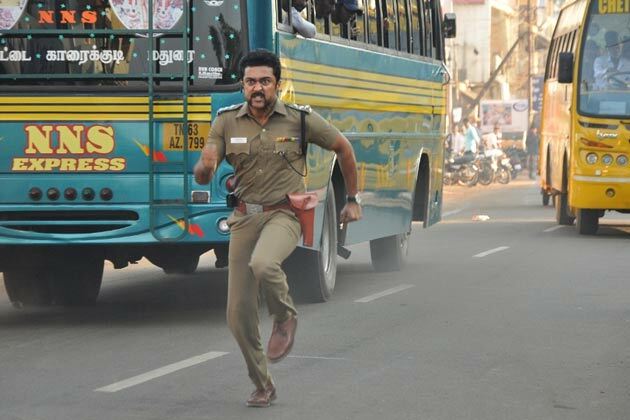 Up to this point Suriya works his lovable rogue persona well and Premgi is relatively low-key as his best friend. After the first twist (one of many), Premgi takes more of a back seat in the proceedings which is an advantage to the storyline since he doesn’t quite have the acting chops required for such a major role, although his comedy does work well. 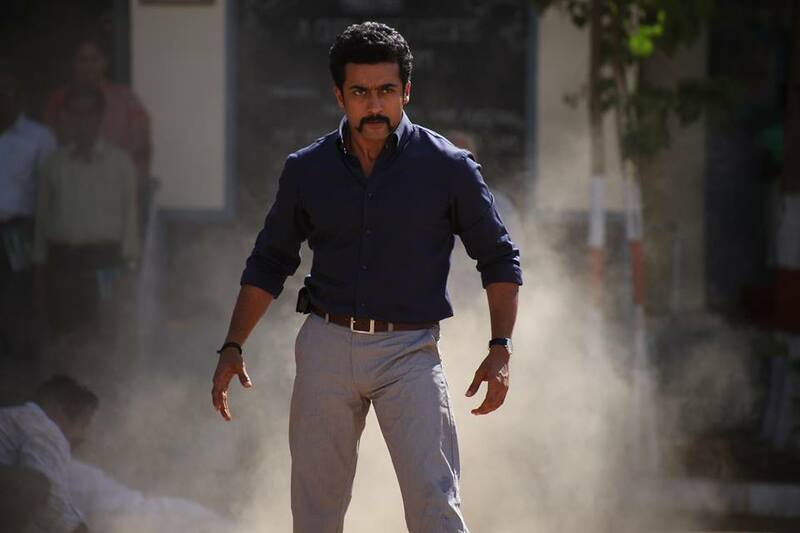 Suriya takes centre stage and drives the story forwards with an excellent performance and plenty of charisma. There is a double role too, which is perhaps a little clichéd but still works within the format of the story. Plus double Suriya is always a benefit in my opinion (as long as they are not conjoined twins!). Nayantara pops up as Malini, a love interest for Masss, but she has very little to do and doesn’t even manage a duet with the hero, so her role could have been skipped without too much trouble. She does look beautiful though, if perhaps a little unconvincing as a nurse, but has surprisingly little chemistry with Suriya. However I’m going to mark that down as not having any real opportunity to develop any sparkage due to the briefness of their time spent together rather than any real problem with Nayantara. 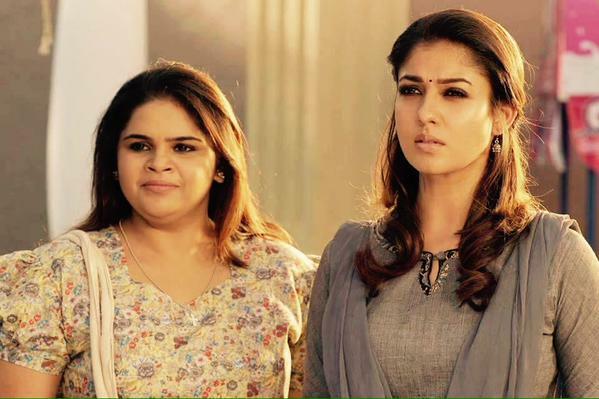 Vidyullekha Raman makes an appearance as Malini’s friend and actually makes more of an impact than Nayantara, although sadly she too quickly drops out of the story. However they both fare better than Pranitha who appears totally mis-cast, or at least inappropriately dressed with terrible make-up, for her role as flash-back Suriya’s wife. The film has a huge cast list and there are a large number of good actors who appear as assorted villains or who are part of a group who help Mass later in the film. Brahmi has a brief role as a corrupt doctor in Malini’s hospital, while Samuthirakani has probably the best realised villain role, although even he only appears occasionally. 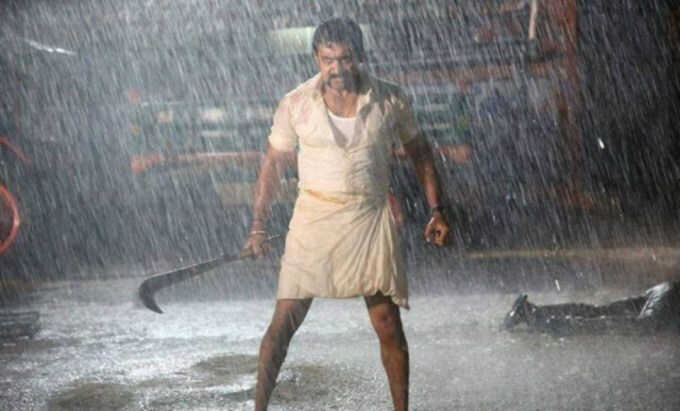 Parthiban manages a little more screen-time as a police officer on the trail of Mass and has some good one-liners while Karunas, Riyaz Khan and many others provide excellent back-up for Suriya. It seems a long time since I’ve seen Rajendran and it’s great to see him here in a small role as a member of the gang helping Mass even if again he only appears briefly. The second half follows a more linear storyline, even with the flashback portion and the film settles down to an easier pace. What surprises me is that the film received a U certificate given that there is some fairly extreme violence and at times the film is quite frightening for a young audience, although the kids in Melbourne seem to be made of fairly tough stuff and seemed to take it all in their stride. Masss is a little overlong and the at times it seems that Venkat Prabhu got a little too carried away with his special effect team. There are times when less really is better and there are a few moments here where more restraint would have had a greater effect. In addition, the songs don’t really fit, apart from one during the flash-back sequence and there are perhaps a few too many nods to other films in the screenplay giving the film a more derivative feel than I think it really deserves. 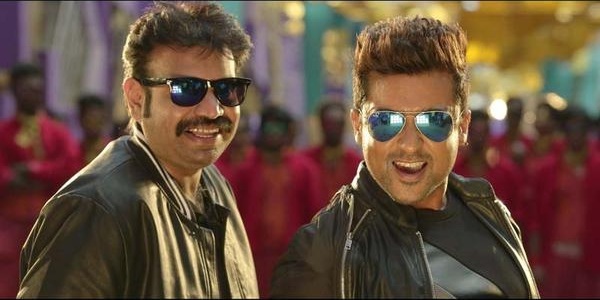 However Suriya is excellent and the background score from Yuvan Shankar Raja makes up for any lack in the dance numbers. 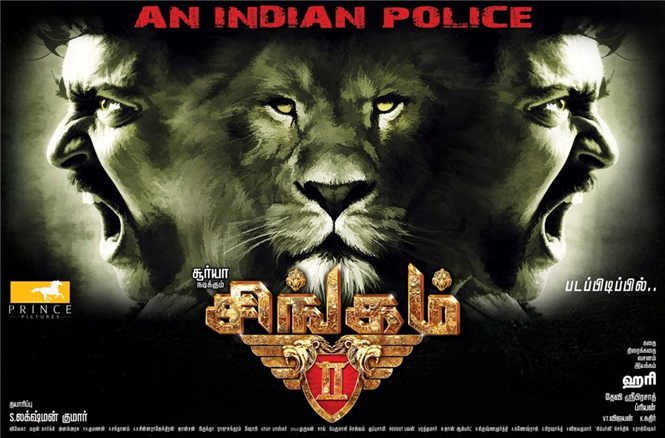 This is a film to watch for Suriya, the excellent support cast and for Venkat Prabhu’s occasional flashes of brilliance which occur just often enough to give Masss sufficient unexpected twists to entertain. 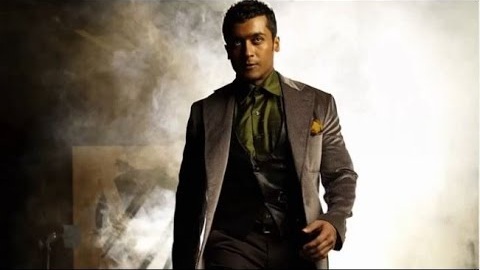 Lingusamy has delivered some good action thrillers in the past, so teaming up with Suriya for this latest venture certainly sounded like a good move. However Anjaan trundles along a fairly predictable path interspersed with a few too many fight sequences (as excellently choreographed as they are) and oddly placed flashbacks that disrupt the narrative flow. 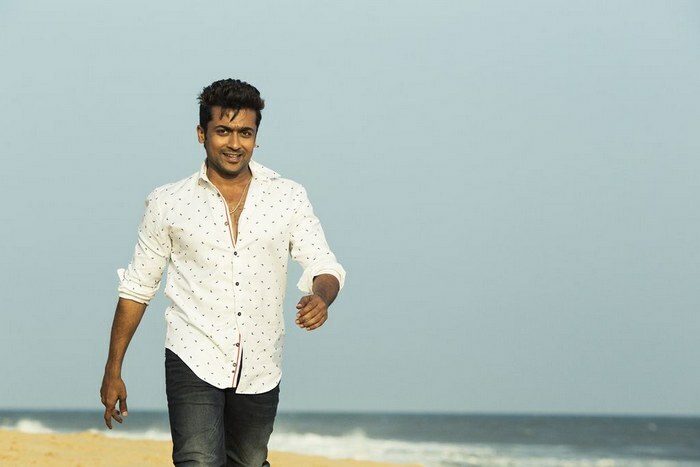 The film is saved to some extent by good performances from the main leads – Suriya is effortlessly charismatic and instils life into his often routine character, while Samantha is cute and bubbly despite having to dance like a maniac. Sound acting cannot completely compensate for a plot which, while frequently formulaic, fails to present a believable chain of events in a convincing way. I also can’t see why it was necessary to set the film in Mumbai as it didn’t seem to have any relevance to the story, and the resultant dubbing of the Hindi actors is noticeably out of sync. Anjaan isn’t terrible but in comparison with other recent commercial films, it doesn’t come anywhere near the same standard of storytelling, and really should have been much better. 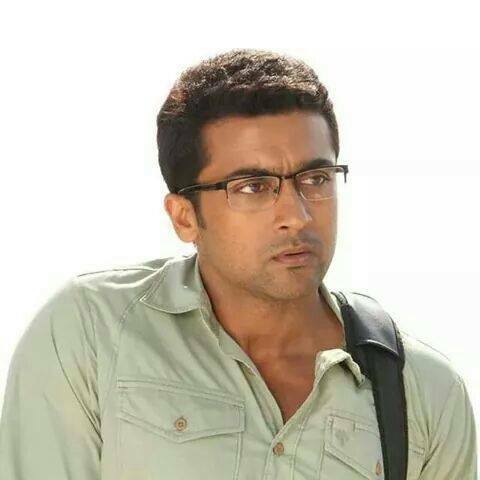 The film starts with Krishna (Suriya) heading to Mumbai from Chennai to try and find his missing brother, Raju (also Suriya). He’s armed with an elbow crutch and a laptop, but doesn’t seem to have much to go on apart from a handful of names and addresses which take him, along with comedy stalwart Soori as his reluctant taxi driver, to some very dodgy places. It doesn’t take too long for Krishna to discover that his brother was a notorious gangster who revelled in the name Raju Bhai and after a few false steps he finally tracks down one of the gang members to find out more about his brother. Baashka (Joe Malloori) is able to fill in the blanks and the film moves to flash-back mode to tell the story of Raju and his best buddy Chandru (Vidyut Jamwal). There is never any explanation of how Raju Bhai and Chandru Bhai have gained their fearsome reputation or even any detail about their criminal activities, which is part of the problem with the rest of the story. The big revenge plot which follows doesn’t have much credibility when there isn’t any solid foundation for the story and the other characters are too one-dimensional to impact. Vidyut Jamwal was impressive in his previous roles as a villain but he’s just not on screen enough here to make much of a mark. His Chandru appears to be borderline ASD with many obsessive behaviours and signs that he doesn’t communicate well with others – hard for Vidyut to make much impact when most of his role involved moody silences and brooding looks. However he is excellent at these, and I just wish there had been more for him to get his teeth into here. 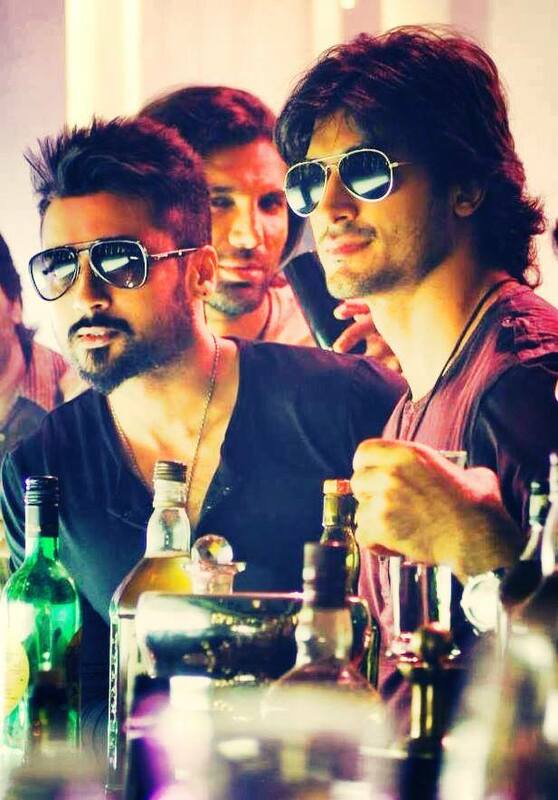 Luckily for Chandru he has Raju to deal with the rest of the world for him, and although Vidyut Jamwal and Suriya make a good ‘bhai’ pairing and appear to be on the cusp of some good chemistry, it never quite manages to get going before the camera whisks away to yet another fight scene. 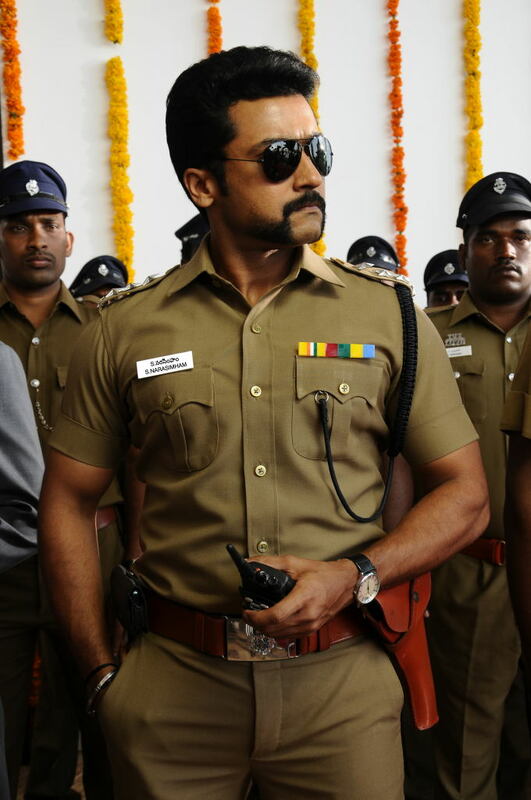 Suriya totally rocks his casual gangster style and cool spiky hair. 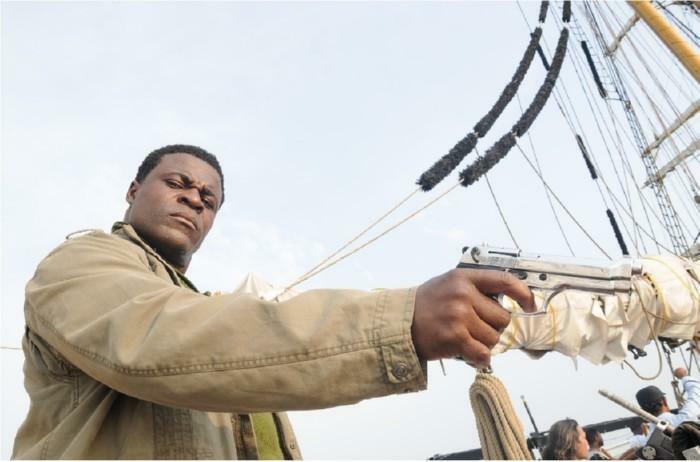 He’s just as comfortable as a violent gangster as he is in the more cerebral role of Krishna. He also has some good chemistry with Samantha at the beginning of their romance although this vanishes later in the film when Samantha is relegated to the usual Tamil heroine status, only appearing in the songs or as a damsel in distress. Her opening scenes are good and I did have hope that she would have a chance to be more than just eye candy but in the end that seems to be the only reason for her inclusion. Sadly she’s also short-changed in the wardrobe department for many of the songs and much of her choreography seem to be of the ‘dance like no-one is watching’ variety. As if that wasn’t bad enough there is a particularly sleazy item song in the second half and a very unnecessary and totally unfunny appearance by Brahmi. All very seem to be added in to fulfil the standard checklist for a commercial mass masala film, and all are completely superfluous to requirements. The fight scenes, although excellently choreographed and filmed are also repetitive and strangely soul-less given that the supposed motive is revenge. Manoj Bajpai is a bit of a nonentity as the smarmy villain of the piece Imran Bhai, while Murali Sharma and Chetan Hansraj are more effective in their negative roles. Santosh Sivan’s cinematography at least makes the film look great but there are a few too many close-ups of Samantha’s coloured contact lenses for my liking – I really don’t need to see the printed iris pattern that clearly outside of my optometry practice! Although Linguswamy seems to have checked his Big Masala Cook Book and added all the right ingredients he seems to have forgotten the seasoning and ends up with a bland dish that veers into tasteless all too often. 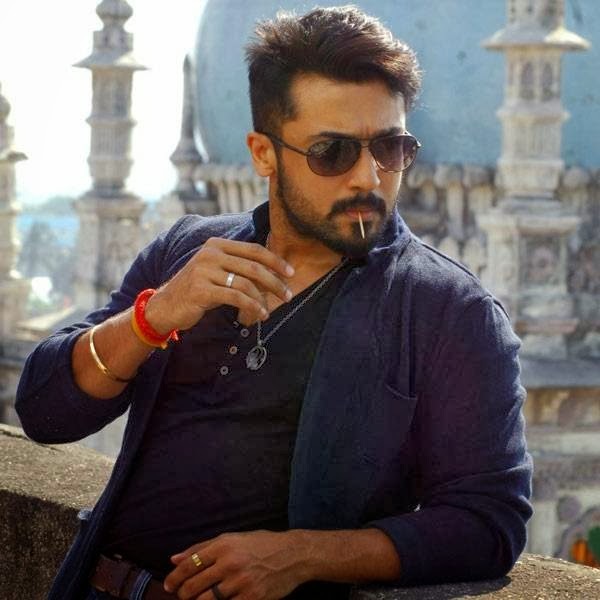 Suriya makes Anjaan worth a one time watch if you’re a fan, but by the end even he seems to be resigned to the monotonous gangs he has to beat his way through every 5 minutes. For all Anjaan’s big budget effects and slickly packaged action scenes at the end of the day nothing can cover up the lack of a story or the absence of engaging dialogue, and that really says it all.